It’s often hard to get details from Zoe about what she did at daycare. I think she eats a lot of rice at lunch. I’m still not clear if she drew this from memory, if she actually drew it herself, and why she didn’t act like this was a huge feat of recall and skill. 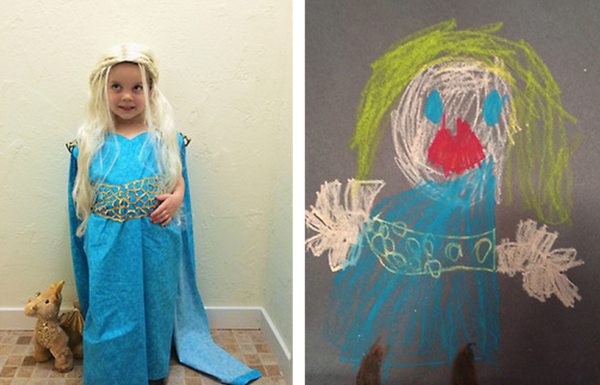 Zoe as Khaleesi: Mother of Dragons.